Merry Christmas. This article is my Christmas gift to my readers, especially nurses whether they read my blog or not. I thank you for your support and wish all of you the very best for this Christmas season and a safe and prosperous new year. One of the saddest aspects of our society in my opinion is the general lack of regard that people have for hospitals. It is especially demoralizing when community leaders are actively engaged in destroying their community hospital and in the process disrespecting the doctors, nurses, volunteers, leadership and hard-working employees who would do anything for them at any time, no questions asked. It makes you wonder whether the people who engage in this destruction even care about the capability of the hospital should they or one of their loved ones be stricken with an accident or illness? I tell audiences regularly that it is not hard to see that people do not care about the hospital . . . . until they need it. The same people who persecute voluntary trustees and administrative representatives of their community hospital expect nothing but the best that medicine has to offer when they or one of their loved ones needs the hospital’s services. Some of these hypocrites will quietly seek healthcare elsewhere while doing nothing constructive to help their community hosptial. Sometimes I wonder if the people in the towns where these activities occur realistically believe that they can escape an involuntary visit to their community hospital when they are the victim of an accident, a heart attack or some other unanticipated serious illness? When the people who engage in activities of this ilk intentionally denigrate their hospital, they are disrespecting all of the employees, physicians and volunteers of the hospital by inference regardless of what they say. Just like the disgusting, duplicative politicians that commit the young people in the military to life endangering missions then withhold resources and/or engage in open criticism of the military. This disingenuous behavior is too routine in our society when we witness the spectacle of politicians holding hands and praying together before they send the military overseas only to then undermine and denigrate military leadership and increase the number of body bags coming home by their subsequent lack of support. I view a hospital like an aircraft carrier. On a carrier, EVERY person aboard the ship has a job that can be directly traced to the support of a relatively small number of airplanes and their pilots. The ratio is over 6,000 to about 100. In a hospital, the primary reason for every person in the organization is to support the nursing function; more specifically, bedside nurses. The services delivered in hospitals are for the most part ordered by physicians but they are delivered by nurses. It is the nurse that is in the building with the patient 24/7/365. It is the nurse that will place themselves between a patient and any source of danger or threat. It is the nurse that is the first responder to the patient’s every need. It is the nurse that carries our their responsibilities with dignity and pride even when they are disparaged or abused by physicians and other authority figures in a hospital. It is the nurse that is the voice of assurance when a patient is afraid. It is the nurse that is left to pick up the pieces when a tragedy occurs. It is the nurse that carries out the final preparations following death. Nurses control resource utilization and therefore the cost of providing healthcare. It would seem that executives that are interested in getting more out of nursing would see to it that nurses have what they need to do their job. In my experience, most of the time, no one has to tell nurses what to do. They know what to do and they will do it gladly if we will facilitate their efforts and get out of their way. Those of us in healthcare administration should be ever vigilant to remove barriers, policies and procedures that frustrate the efforts of our nurses to give their patients our collective best. Nurses influence patient satisfaction and patient outcomes. One of the greatest sins in society in my opinion is activities of any kind in a hospital that undermine nursing, particularity when these activities are carried out by authority figures. 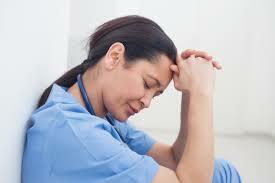 You do not have to teach or train a nurse to be compassionate or focused on error free work. In fact nurses operate at far higher levels of performance than many of the rest of us adequately appreciate. Most of us would not make it very long if we had to perform at the level of our nurses. Nurses understand the grave consequences of errors in their work. All too frequently, a nurse that is involved in a too common human error becomes the second victim of a bad outcome. That these people can function at all under this stress tells the rest of us how incredible our nurses are. I have thoroughly enjoyed my relationships with nurses over the years. The type of people who gravitate to nursing are special. Most of them are motivated to be in a position to do things to help other people in their time of need. They do not allow those of us that are ‘bad patients’ to detract from their focus to give us their best. Their attitude is always positive and uplifting even when we are in the mist of having our worst day(s) and showing it liberally. Most hospitals recognize their nurses by providing badging that clearly indicates that they are nurses. One of my personal crusades is to make sure that EVERY nurse in the organization whether they are a bedside nurse or not PROUDLY display their RN identification so that no one will mistake these giants of humanity for one of the rest of us regardless of their role. What would our world be without nurses? What would our world be without the type of people that gravitate to nursing? What are we doing as leaders that is making life more difficult for our nurses? Are we creating environments more or less conducive to patient safety? The next time an opportunity presents itself, do not miss taking the time to thank every nurse you meet for their service to the hospital, its patients and your community. The easiest way to keep abreast of this blog is to become a follower. You will be notified of all updates as they occur. To become a follower, just click the “Following” link that usually appears as a bubble near the bottom this web page. There is a comment section at the bottom of each blog page. Please provide input and feedback that will help me to improve the quality of this work. Next What is a blind reference? Wonderfully written…thank you so much.